Sydney Crate Digger, DJ Boogie Monster is selling a new batch of vinyl | SOUL OF SYDNEY FEEL-GOOD FUNK SOUL DISCO vibes & beyond. 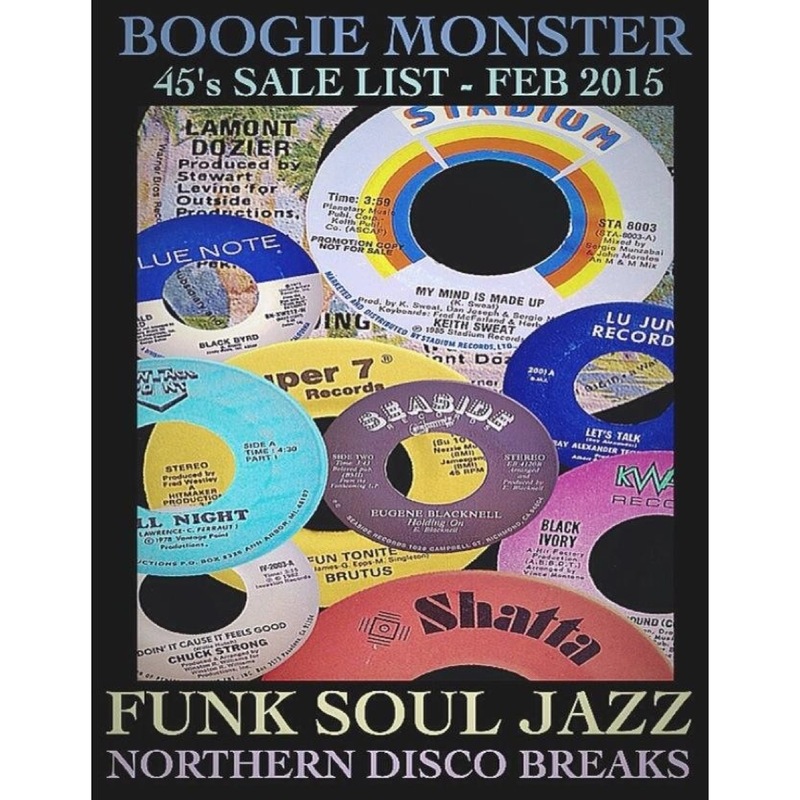 ATTN Crate Diggers, DJ’s & Collectors, our good friend BOOGIE MONSTER is selling another batch of vinyl heat. Check out his February list and get in contact with him for info. Back again after a busy several months and well earned break, first list for 2015 and very excited to be offering another primo batch of original 7″ singles, as usual focusing on black music styles across the board, late 60’s to early 80’s. From super tough rare collector pieces and some quality lesser knowns right down to the bare essentials, there’s hopefully something here for all. Hand picked by yours truly and lovingly presented for your collecting pleasure. *Original first press guaranteed unless specified otherwise. *Hand picked selection – no filler! *All items clean used collectibles. Esquires – Listen To Me (Bunky Inc. – 7750) Milwaukee Group Soul harmony dancer from ’67 on first NYC label. Proper Northern-Crossover pressed on gloriously thick, heavyweight vinyl..
Russel Blake – Only Lover (Xela – 21901) Fantastic recent discovery! Lovely soulful mid-80’s private Boogie rarity featured on a few top playlists around the world right now..
Vantage Point – All Night w/ Pt.II (Vantage Point Productions) Crazy rare private Jazz-Funk aimed directly at the floor for 1978 with heavy Disco appeal. Still no YouTube available but there is a sound file attached to the previous sale listing, below. Do yourself a favour and hear this fantastic Ian Wright discovery.. This entry was posted in sydney funk, vinyl. Bookmark the permalink.